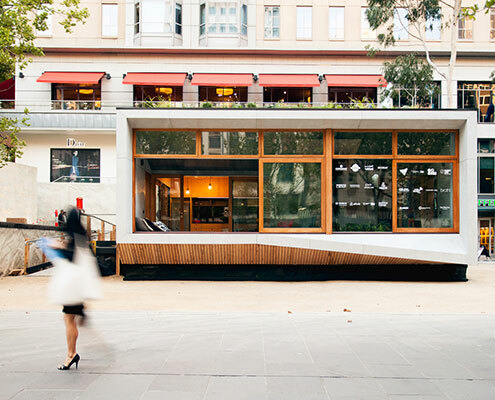 Carbon Positive Prefab House by ArchiBlox World's First Carbon Positive Prefab House Drops in to Melbourne ArchiBlox' Carbon Positive Prefab House means it's no longer enough to just be carbon neutral, when you can be carbon positive. 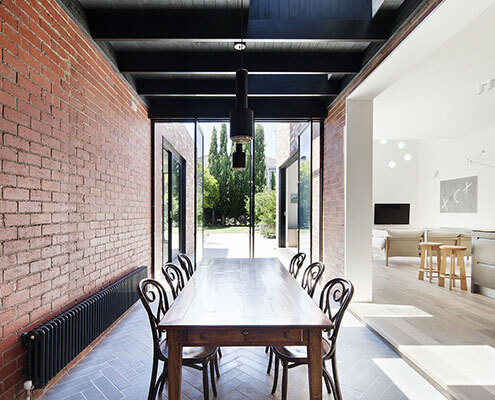 Five Courts House by Matthew Gribben Architecture Five Courts House's Introverted Design Overcomes Its Gritty Site The brick exterior of Five Courts House belies its light-filled interior which surrounds five courtyards arranged around the perimeter. 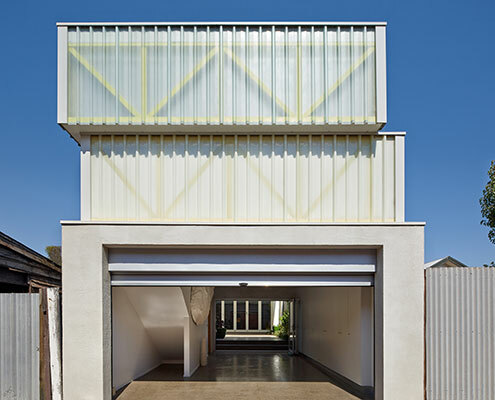 Left-Over-Space House by Cox Rayner Architects Left-Over-Space House Doesn't Let Even a Skerrick Go to Waste The narrow Left-Over-Space House demonstrates what can be achieved on the myriad of ‘left-over’ spaces in our inner-cities. 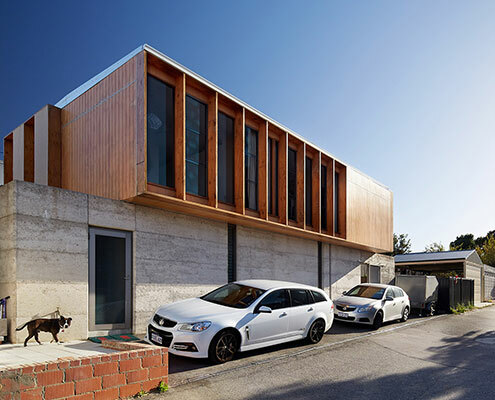 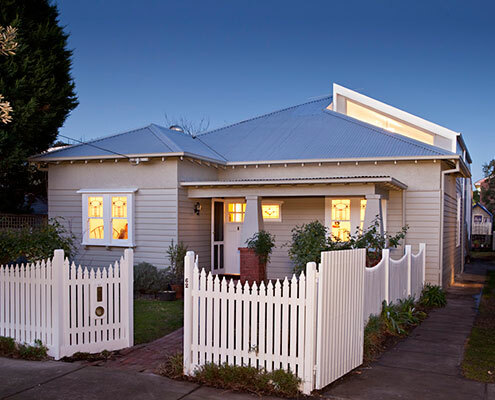 North Perth House by Jonathan Lake Architects North Perth House Proves Architect-Designed Houses Are Affordable North Perth House sets out to prove an affordable yet generous family home can be constructed on a small inner city block. 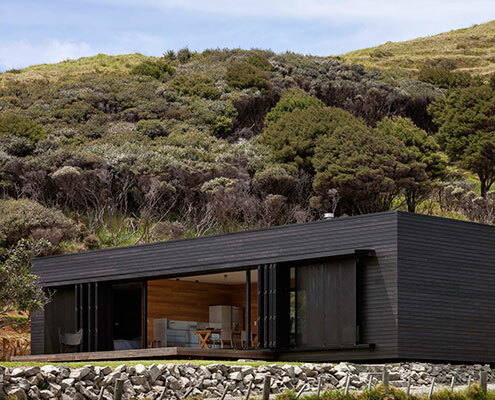 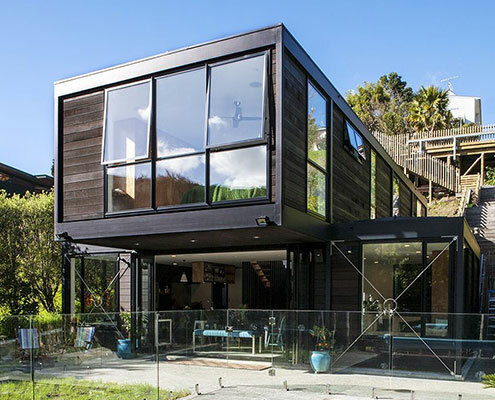 Bassett Road House by BOX Living Bassett Road House: A Modular House With a Touch of Timber A modular home constructed of engineered timber (instead of steel) is the perfect fit for a steel slope in New Zealand's seismic zone. 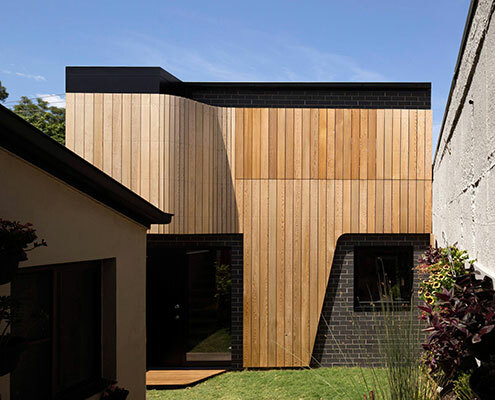 St Kilda East House by Clare Cousins Architects St Kilda East House: An Old Home is Brightened With Dining Courtyard A series of insertions into this period home injects light deep into the plan, making it modern and bright in-spite of its age. 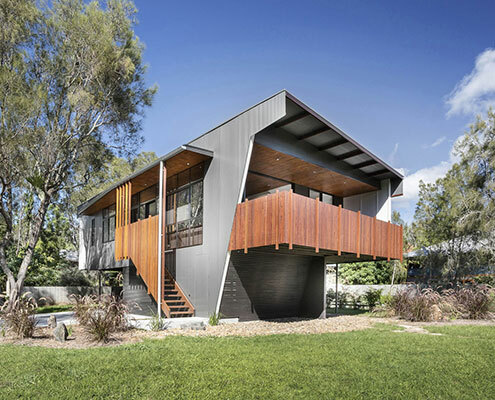 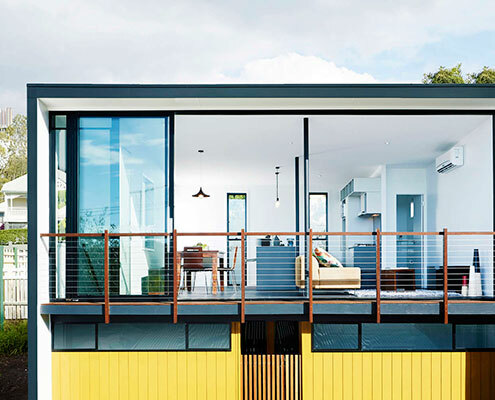 Oxlade Drive House by James Russell Architects Oxlade Drive House is Perfect for its Sub-Tropical Climate Instead of a generic mass-built home, this family built a home designed to suit their lifestyle and the sub-tropical Brisbane climate. 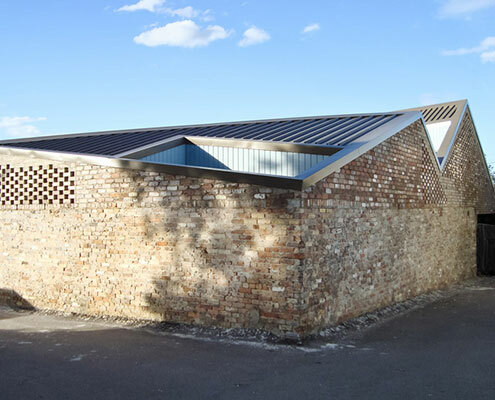 Erskineville Studio by Pivot Erskineville Studio Transforms this Dingy Urban Lane The future of suburban laneways is vibrant and active if this Erskineville Studio project by Pivot Architects is anything to go by. 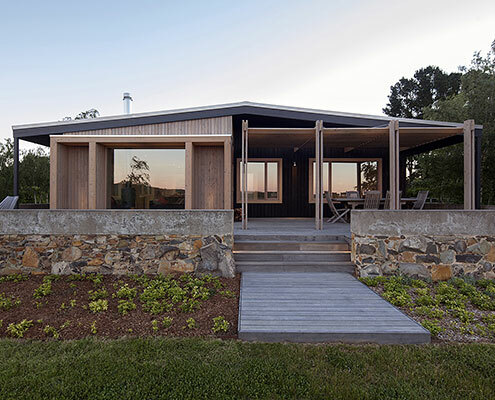 Blurred House by Bild Architecture Watch as Blurred House Transforms from Cali Bungalow to Modern Home From the front it's an unassuming Californian Bungalow. 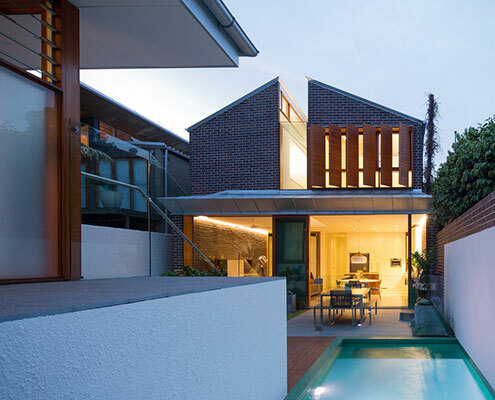 From the rear, undeniably modern. 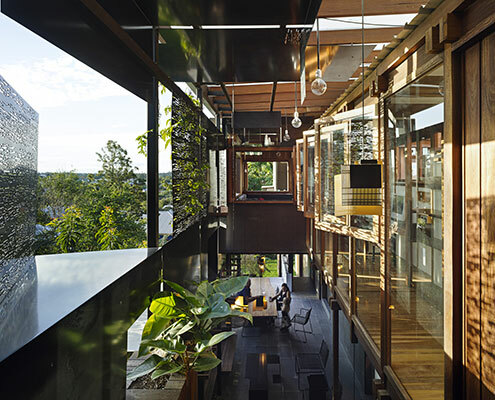 It's a new type of house — a blurred house. 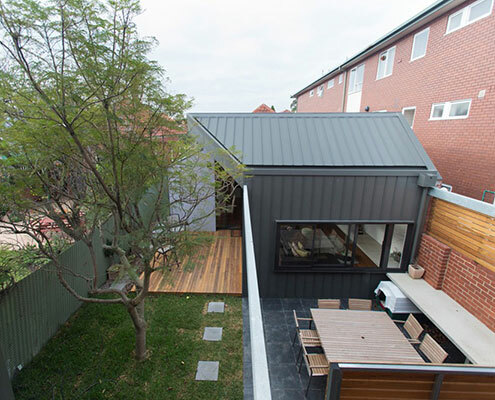 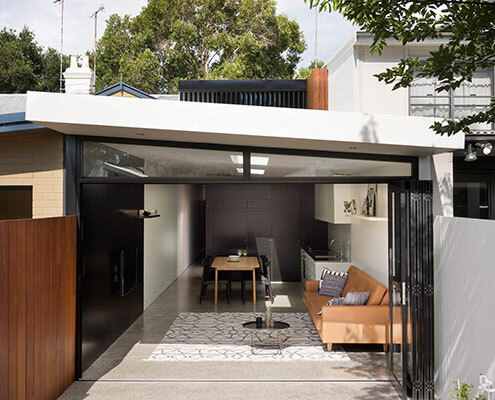 Patterson Street Residence by Jost Architects Modern Rear Extension Reinvigorates Patterson Street Residence After a number of minor additions over the years, Patterson Street Residence is reinvigorated with a modern extension to the rear.